Rave Reviews About the Institute's CEUs! Absolutely love everything about this institute! I have already been recommending Integrativehealthcare.org to most of my friends and coworkers in the bodywork / Massage world. I'm looking forward to taking more courses from you guys! I love it! in my time of need,I felt your support. Thanks for all your help. The classes are interesting,thought provoking and complete. I have been using the online courses for the past 7 years. I really enjoy the information and the way that it is presented to the student. I will continue to use Integrative Healthcare for my online courses. The courses the Institute offers are both affordable, and educational and continue to enhance my skill level as a therapist. The Customer Service team is very helpful and I have never had anything but a positive experience with help from them. Thank you for providing these great courses and great customer service. I have been impressed and enjoyed all the courses I have taken from the Institute so far. I look forward to my next course! I have used this site before with great success. The staff is so helpful and accommodating and the materials arrived quickly. I feel it is helpful to get instant feedback on test results, not only the score but exactly which questions you got wrong. And...I love the sales!!!!! I enjoyed your courses. I started using Integrative during 2015 renewal. For the 2018 renewal, I became ill, however, your user friendly site helped me to approach my goal of being re certified and gave me tips on my own joint issues. I like the variety of classes and the discounts are really good! Thanks. After purchasing three courses, I looked at my state board site and realized I had purchased too many hours (my state does not carry over online hours to the next renewal). I called and the person I spoke with was very friendly, understanding and prompt in handling my refund for one of the courses. As always, it is a pleasure doing business with you. I have been taking your courses since 2011. You all are awesome! Thank you very much!!! Your website is so easy to use and your staff is very helpful. Thank you for providing these excellent courses. I've taken several courses and found them all interesting, educating and easy to navigate. I enjoy learning new techniques and skills from the Institute for Integrative Healthcare Studies. Every course I have taken has been a read help for me and my clients benefit too! I have used this site for several years and it's always to my expectation. Very well designed with a vast information of knowledge to be found. Don't change what you are doing! I've been using your classes for my massage licensing for years! And plan on finding another class for next time! Your website is a dream, makes it so easy just to concentrate on the courses/new materials. And you offer a nice variety of classes. I have so many good comments to make about Institute for Integrative Healthcare Studies. This is the first class I have taken and found it to be well written and it made learning fun. The website is easy to navigate and Tiffany is knowledgeable and always returns phone calls right away. Thanks for making the requirements of continuing ed an enjoyable experience! I emailed customer service for my materials and talked to Tiffany R. She was very prompt, helpful, friendly and understanding of my problem. She resolved my issue quickly and I appreciated her help! Thank you so much for creating courses that are of such high quality, relevance, and accessibility! I really appreciate your service in providing these CEs for massage therapists. Being able to print the test and really study the material, take the test online if time gets tight, and get results and certificate immediately are invaluable! You have really fantastic courses. I already purchased 4 of them. Thank you so much. Keep'em coming. The competitive pricing of these courses is what prompted my study. In Canada, we have many hours of CEU hours to maintain and the price becomes an issue after the years. I'm so grateful to you for having this online institute. It's so helpful when I run into new complications in my work. Thank you for all the great info. Thank You for making courses available on line.It has been wonderful - time and money saving too!! I had to call to ask a question regarding whether the course would be approved for my NC State renewal. I spoke with Heather and she was extremely helpful and sweet! It was also nice to have someone answer the phone instead of a recording! THANK YOU! I really like that I can download the booklets for the course. So many other places do not let you do that. They are valuable resources. Also I like being able to download my certificate instead of waiting for it in the email. Thank you. I appreciate the opportunity to get quality CE hours and ability to work and learn at home. I can practice on colleagues and they learn too! I had all my CUEs but one hour, and cutting it close to the deadline. I'm so thankful I found you, and that you offered lower CEU hour courses for situations like this. Many sites only offer 6 as a minimum, which is a disappointment. Courses were intriguing as well. I will use this site again! Love your organization of information and state requirements all in one place, and I love that I can access all of my past courses and certificates! Thank you! Thank you for offering such great courses! I've never been disappointed in any if the courses I've taken! Having the state requirement CEUs was sooooo helpful & user friendly. Will certainly take more classes here in the future. I love the courses so far. They are very organized as well as helpful with the most current, up-to-date information being presented. I am quite pleased with both the selection and quality of the courses that you offer. Many of them are of great interest to me, therefore, I will definitely be taking another course from your Institute when it is appropriate. Thank you for the great experience. I love the courses you have. It is so easy to get the courses and do the tests. Thank you. Every two years when the need for CEU's arises to fulfill the license renewal process in the State of New Jersey, I always panic because you want an organization that is honest and accurate and will ultimately teach you what you can use going forward in your practice. The Institute for Integrative Healthcare Studies fit the bill perfectly. I will use them going forward for other CEU's needed to renew my license in New Jersey. I always feel confident that the courses I enroll in with the Institute will be valuable, interesting, well organized and accepted for my license renewal. If I have a question, the staff is available, responsive, and very helpful. Thank you! I have taken many courses from the Institute for Integrative Healthcare Studies through the years & have always received excellent information & used the information in my massage practice. Your staff is amazingly helpful, friendly and accommodating! They are very knowledgeable and go out of their way to give excellent guidance. Taking these online courses gives me an opportunity to not only learn, earn credits, improve understanding and refresh memory, but to use relaxation time wisely. The more good knowledge we put in our minds, the wiser we become, and the more we contribute for the benefit of others. I highly recommend taking courses through Institute For Integrative Healthcare. The material is easy to read and understand. Having multiple choice tests makes test taking less stressful. I love taking classes from this website. The material is very straight forward and easy to understand. I recommend this website to other massage therapist. I have taken many courses through your company and have always been pleased with their content and applicability. I will continue to consider your courses for license renewal. Thank you for your attention to your students. The support staff immediately responded to my request to correct my last name that I typed incorrectly. They made sure the certificates were correctly spelled and checked with me to make sure I was satisfied. I enjoyed all the courses. I prefer online study when available and I am a return client. Thank you! I have taken other online courses and your courses surpass them all. Thank you. I've taken several classes from your institute over the past few years, and I really like how easy it is to maneuver your website. I also really like and appreciate the course subjects. The material is very comprehensive and gets to the core of what I need to know. Also, I've called and spoken to your staff more than once, and they have all been very friendly, knowledgeable, and helpful. Thank you very much! As always, your classes are to the point. Your staff is quite helpful and friendly. I appreciate speaking to a person on the phone! I love your courses, have taken them in the past and plan to continue taking them. Thank you for the variety of choices as well as the great information provided. I love this site! It has saved me a lot of time while being extremely informative. I really love getting my continuing education through Institute for Integrative Healthcare Studies. The people are always sweet and direct me to where I need to be. They also provide so many courses so I'm able to keep adding to my tool box. I will continue to go through them and I strongly recommend that everyone goes through them as well. I love your courses, I always learn a lot, they are affordable, and also so convenient. I enjoy these courses! I always learn new things/techniques to bring to my clients! Thank you! As always, I love this Institute. I will always find something fun and interesting to further my education, as well as being a better LMT. Thank you again for caring about LMT's passion as much as they do! Great and interesting selection of courses. Thank you! These courses are perfect for my work schedule. I am able to study at my own pace before I take the exam. Thank you! Your website is easy to access and the choice of having written materials sent through the mail or online was a plus. Being able to print the test out before I took the test online was a good way for me to learn. Your system seems to address a variety of learning styles which was most important to me. It never ceases to amaze me how you all continue to make course content interesting and immensely engaging on all topics!!! Thank you! Office staff was especially generous with helping answer questions. I applaud their expertise. Jessica and Erika... thank you for your help! It is always a pleasure to call the institute and receive friendly help or guidance for any questions I may have...thank you! I have used the Institute for my continuing education before and have always found the courses and presentation to be extremely well done. The website is very concise and easy to navigate and the staff is exceptional. I would definitely recommend the Institute to others and will continue using their services. I so appreciate the Institute and the variety of quality courses offered. Very convenient. Consistent excellence overall. I do appreciate courses offered that do not require online participation. I love the convenience of your programs, and I love the presentation. Very good courses, and I do in fact recommend to others. Thank you for doing what you do and providing this! The staff was extremely nice and helpful. I would recommend this highly to other therapists in need of ceu credits! This saved me a lot of money. Thank you. Integrative Healthcare has become my first choice when searching for CEU's. Thank you. The person with whom I spoke with was AWESOME in assisting me to find the right courses. Thank you, thank you, thank you!!!! The test was so easy to take online and I am not very computer literate! Thank you for making the process of fulfilling my CEUs both interesting and simple. I love taking your courses and prefer them over any other classes or workshops. I always have the materials to review and study again and again. It is nice to collect the references and DVDs to use in my practice. Thanks!!!! I originally selected a course in Aromatherapy and was contacted by the school to pick a course that Texas would allow and I appreciate them watching out for what our state would and would not allow. The girls were VERY helpful!! I love your courses! Its very helpful for MTs to gain credits! Reasonably priced and good quality of education. Thank you so much for providing good CE courses! I was glad I found this Institute. The course objectives, what was expected of me, what I needed to do, and what I learned from the Institute were great and understandable. I would recommend this Institute for others if they are truely interested in learning other than just getting the credits they need for continueing education classes. I have taken others courses through the Institute and have enjoyed them. It's easy to purchase a course and the best part is, you can finish when you want. I work and have 3 children and this site makes it easy and affordable to learn at home. I have recommended the site to my peers. Thank you! Thanks for the opportunity to take courses with you. I have always found them helpful and informative and accessible in a way that meets my needs. This is my first time taking home study course for required credits..I will be doing it again! I have had some serious medical issues going on this past year and could have lost my license if I hadn't been able to complete this course on the web. Thank you so much for being there! I am never disappointed with the material from your courses. Thank you. Just want to say thank you for having affordable CE's. I only needed 1 credit hour and the price and topic I choose fit the BILL $$. I have been using this site for CEU's for several years now and I find the sight affordable, easy to work with, and the home CEU's offer convenience, especially when my pursuit towards a master's degree, work and home life take up so much time. Thanks! I really like the flexibility and staff at Integrative Healthcare. After years in the industry, these mandatory classes can get boring and frustrating to fill the CE requirements for multi-licenses. The customer service and the course contents are usually very good. Thank you for years of helping me retain my licenses and giving me broader knowledge in a very accessible format. I love the studies provided. They are interesting, easy, fun and convenient to do. Prices are affordable as well. I also love the variation it offers. Every time I have to renew my license, I keep coming back to learn a new course from here. I really appreciate the great customer service which is the perfect compliment to such well written study courses. Thank you for letting me know what my state requires for CEU's. Great courses! Would recommend to other LMT's. The support staff was very helpful. It is very nice that some of these classes can be done online. Not always easy to get away to do hands on classes. I love your courses! They are very convenient and informative and I love that you offer a wide variety to choose from. Thank you! I've been taking your courses for years and have been very pleased with the ease in the process and the clarity of the information. Great job!!! Thank you!!! This is my 2nd course with you and I am very happy with everything so far. I will definitely take another course in due time. Thank you very much for your professional website and excellent courses. I benefited from you a great deal and I will recommend you to my fellow colleagues. This is my fourth course/test and it has all been a wonderful experience. The books are always fantastic and something I can use over and over as reference in my practice. Thanks again for a wonderful experience. I absolutely love all the online courses I've taken so far. Allows me to learn on my own time while keeping an extremely busy schedule. I also feel I am learning new and valuable information with each course while refreshing my mind of things I have previously learned during my school days. Thank you for always providing informative courses that help me be a better professional in the wellness industry. I continue to purchase your materials because of your professionalism, for always being informative and a pleasure to deal with. Thank you! I have enjoyed the Integrative Healthcare courses. This is my second set of CEUs Iâ€™ve done through them. Great courses, rich in information, which is why I turn to the these online courses. This is a great way to add to my knowledge and improve my practice without having to leave my home. Classes are way better than AMTA classes and tests are very easy to take. Thank you. Your staff is always very friendly and helpful. I appreciate the promptness when working with them. Your choice of subject matter is great! I have done all of my CE's for my license and insurance through this company for many reasons over the past 8 years. The information is understandable and extremely applicable to my practice. This course provided me with information I have been seeking for years, Thanks! This is my first ceu with your institute, but definitely won't be my last! I look forward to taking more courses. This arrangement fits into my lifestyle far more than taking classes, which is usually on weekends and costs income. I used the information immediately, working with family who have recently finished cancer treatments. I grew up near Orange Lake, Walden and seeing the Montgomery address was an unexpected Deja vu. Thank you! Yes, I took the course because of how professional the website was presented. Upon checking out the courses available, I found most of them very relevant to me as an RMT, so it was easy for me to choose and take your course. I have done one so far and will be taking more soon. Thanks and keep up the great work. Love it!!!! I find your courses very helpful, well organized, clear in learning objectives and fairly tested. Thank you. I found the materials very informative. I do feel more empowered as a therapist and the staff was very supportive. I would definitely recommend! I am always impressed by your course offerings and materials! I will continue to utilize your Institute for future courses. Website great! Easy to navigate- prompt emails & notice of shipping. I will be taking more courses through integrativehealthcare.org. I want to thank the staff for contacting me about a course I ordered that was not accepted in my state. They helped me find another course. The response was fast and accurate. I made a mistake with my order and it was rapidly taken care of. Excellent Service! Thanks Tiffany!! Great course, as always you guys have the best classes! Also the easiest most user friendly websites! Thank you for being there. I have used this institute for years and I have always been impressed with their knowledge, helpfulness, and positive attitude. I intend to use them for my next ceu requirements. I love having the option to have the material sent to me and the ease and speed of testing online. I also love the pen, :) just what I needed. The content of the book has given me much insight for personal and professional living. Great read! I am grateful for the Institute for providing extremely valuable courses for massage therapists. They can be completed on your own schedule and you can choose the course that is most interesting for you. I highly recommend this form of continuing education. I liked the text version and being able to go at my own pace instead of a powerpoint presentation or webinar that forces me to go at someone else's pace. I like being able to split it into two sessions and not have to sit for 3 straight hours. I think your staff are very helpful and the courses are reasonably priced. Very helpful and encouraging. I loved the thank you card I received in the mail! Thank you for your attention to detail and "extra" that sets you apart! I think the courses are reasonably priced and really cover what CEUs I was looking for. You're my go-to for CEC's quite often. I appreciate your timeliness and material. Thank you once again! I have been very satisfied with the course materials and always find something that interests me and that I can use in my practice. Thank you! I thoroughly enjoy taking the courses from the Institute. Very professional. I love this site for my CEUs. I have enjoyed all the courses I have taken and will continue to take more. Thank you. Easy to use web site and the information is interesting and easy to follow. I have always used the Institute for all my studies. I they have the best selection. courses are completed at your pace and it is easy to access the test and complete it. Over all I am very pleased with the Institute. Very happy to have chosen this institution to complete this course. The material was concise and thorough allowing me to study effectively and pass the test quickly. Again been getting courses here for many years and love the ease and quality of the materials. I always come back after searching other sites and this is the best for selection and quality of courses. Thank you for offering the courses you offer and for making it easy to achieve my goal of CU's and renewal of my license. Thank you for your awesome and easy-to-navigate website! Lots of options! I have been using the Institute for over 12 years and have always been very pleased with the quality and ease of their programs. Thank you for all you do to make it easier to fulfil my obligations to renew and keep my license. If I take any online courses its from this company. They may be a little more expensive than others but the content is a better quality than others. Excellent information! Items arrived to my home in a timely manner and the website was easy to navigate. I am of the opinion that online courses aren't as beneficial as attending a seminar. I realized I didn't have quite enough CE's & was under a crunch to get them in, so just ordered the materials; expecting it be sub par. I am happy to say it was not! I actually learned just as much as I would have in a seminar, and having the time to go over information that wasn't clear to me right off the bat was incredibly helpful. I plan on using this websites materials far more often (not to mention it is far more convenient for my practice to learn at my own speed). I am very pleased! Great way to study and review. Thank You ! Thank you for offering the courses that you do and the selection in different categories. You make this easy for home study to acquire needed CEU's. Looking forward to taking more classes. Thank you for all the support & helping me improve the quality of my practice. I really enjoyed the courses. Your staff is friendly and supportive. I talked to Erika today and she was professional and courteous. I would gladly recommend you to my friends and customers. Staff was knowledgeable and helpful. I also liked the material (book,and disk). I am extremely pleased with the classes I have taken and plan to take more. I love how convenient your courses are. And you provide so many interesting topics. Thanks so much for providing this! I love that this business still offers an actual book of test material that can be mailed to you. I find it hard on my eyes to read an entire course from a computer screen. I really enjoyed this course review of how research is constructed in the massage therapy profession. I feel more empowered to reach the world with research in the field and feel confident my efforts can change the base of knowledge for the better. Our world needs massage therapy and touch therapies to become standard practices in the healthcare industry. We need to make it a point to integrate professional body work and massage into the healthcare system and into hospitals now. The time is NOW to make that happen. I am very surprised that research has been done since the early 1980's on the validity of the practice and STILL hasn't been fully recognized as a valid healthcare practice. Massage and Bodywork therapy are wellness practices we as humans cannot afford to live without! I was very frustrated when I called the helpline, but the phone person was very helpful and cheerful. I appreciated her calm and helpful demeanor. Computers are hard for me to work with, but she made it easier. Thank you! Your courses are extremely accessible and thorough. Thank you! I am glad that there are places like this so that I can receive my CEUs. The Institute for Integrative Healthcare Studies is always my "go-to" when I need to complete my at home continuing education hours. I am always very happy with the courses of study for massage therapy. This is the second year that I have gotten my CEU's from the Institute for Integrative Healthcare Studies. I am very pleased and will continue to study courses in the future. Tiffany was amazing and helped me find what I needed. She is wonderful! This is the first online course I have taken through the Integrative Healthcare Studies. At first I was a little scared doing it online since I find I am more an "on hands" learner with actual physical material to hold onto. After I completed this course, I realized how easy it was to learn with an online course and take the test online. I was surprised that I actually liked taking the course this way. I am excited to sign up for more classes like this. I loved the choice of classes available!!! Easy & convenient to use, even for a non computer person ðŸ˜„. Thank you! I am very grateful that the Institute offers such top quality classes. I love the information and skills that are explained in the courses. I also truly appreciate your cost structure. Your courses continue to be accessible to me and I will continue to use them frequently to fulfill my CEU requirements. Thank you!! This is my second year taking a course with y'all and everytime I learn something new and am interested in the material. Well organized and detailed website. Many interesting courses and topics available with varying hours of length - great because sometimes I want shorter courses and sometimes I want longer courses. Easy to enroll and print off the information and take the test online. Thank you. I am glad I found this website! It has a lot of CEU courses I want to take in the future! So easy to use. I loved that I could take my time and work at my own pace as well as revisit information I was unclear about or wanted a refresher on. Super glad I discovered you guys now. As a new therapist, I can grow and gain new knowledge quickly! My patients love cupping! Thank you for the ease of this course and certification. Very user friendly. I enjoyed woking at my own pace. Thank you! This is a tremendous and economical service to Massage Therapists! I am very pleased with the exceptional ease that the courses are presented and how simple they make it to access everything. This was the ONE site I felt comfortable with, and they made it very easy on me to get all of the classes I needed with none of the extra fuss! Thank you for making the test an online option. Completing this course was totally stress-free! This was my first CEU course I've taken from this website. And it met my expectation of what a CEU program should entail. Will definitely be referring back to this site. Thank you for providing great content involving CE subjects and materials that will help me further in my career as a massage therapist. It was very neat to be able to log on and off and read the material. Didn't have to do it all in one sitting! I freaking love this company. I have been using this institute as an online resource my entire career and I love it. I have used your materials in the past and will continue to in the future because they always meet or exceed my expectations. Thank you for all the interesting subjects you provide. Thank you very much for providing an excellent program for my ethics requirements in this homestudy course. Thank you also that I was able to hold the materials in my hands. It may be "old fashioned" but I appreciate being able to have a reference readily available if the need arises. I look forward to taking other courses from the Integrative Institute in the future! Thank you so very much for your student support.....you literally are a life saver!! Thank you for the great Ethics course. I love the simplicity to register and take the courses online! I will be returning next year to take more! Thank you. I have taken courses from IIHS over several years and have come to rely on the quality which remains today. Thank you !! I love the Institute for Integrative Healthcare Sudies! I have been a student of theirs for 22 years. Caring & knowledgeable staff who are sympathetic to a massage therapist personality. I have been using your company for over 15 years and your fabulous staff is what keeps me coming back. They are ALWAYS so helpful!! Thank you! I've used the Institute for many years. They make it easy to gather and complete all CEUs in one place. I'll continue to earn my CEU's through the Institute. Thanks! I have taken courses from IIHS and I am a returning customer. The courses are fairly priced, challenging, and interesting. Also their website is user friendly. I will always use you guys for my online ceu's! the staff was very professional and helpful with helping me when ordering the tests. I live overseas and got my course materials quick! The chapters may be long but with each Pathology separated I found it easy to start back up where I had left off! I missed the deadline to take the final test and the staff were helpful and just really nice in general. I will be taking more CEU through this website.Thank you so much! Thanks for having an affordable CE solution! I enjoyed the course and met the requirements for my State. I love coming to the site and taking online courses that fit my interest and need for CEs. Thanks for the ease of this site and its beneficial content. LOVE ONLINE LEARNING! I have taken many classes from Integrative Healthcare and have found the material to more than over the subject matter. The study is concise, informative and highly useful in my practice. Any comments? I don't know... I am impressed with the knowledge that I am acquiring about massages, massage therapy, music therapy, aroma therapy, etc. I am also impressed to learn, from the courses I have taken, how the medical community accepts these treatments. The staff is more than helpful when I am ready to take the test...I am technologically challenged! The variety of courses you present allows one to pick and choose what they want or need to study for almost anything involving massages, PTSD, therapies, etc. It is also great that one can get credit from them to apply to one's massage studies/credits. Thank-you for making your courses available. Thank you, the staff has always been friendly, helpful and personable! Excellent Customer Service every time! I appreciate the ease of use of ordering, using and testing that you provide. Every course I have taken from you has been very high quality (content and ease of use.) You provide a wonderful service. Thank you! Integrative Healthcare is THE BEST! I have taken several courses, and found each one to be well written, thorough and engaging. Totally professional in presentation and always useful. I have taken CE home courses from other schools and The Institute for Integrative Healthcare Studies' courses are superior. I shall continue my education exclusively with Integrative Healthcare Studies. Thank you for these courses. Thank you for making online courses friendly and informative. I am more hands on but it is nice to have an online education service available. so friendly......I haven't used Let's Talk help line but I'm sure the staff is very friendly and helpful....Thank you once again Integrative Health Care! Customer services is A+, that's important. Any questions put to institute by phone or internet are answered with minimum delay. I always use your programs for my continuing education hours. It is so convenient and always very informative and easy to use. Have use IIHS for other courses & am always satisfied. Very helpful & easy to follow info. Thank you! I love that the Institute gives you plenty of time to study and take test. Having 3 boys and military life sometimes I don't get to rush through the course to get it in. Having a year to get it done helps for sure. Thank You! I enjoyed the course and found some interesting information! Customer service was the best. Course material was great. I love your courses. Thank you very much! The hand-written thank you note that I received after ordering my course material was a very nice touch. I only have good things to say about Integrative Health courses. I always choose my online CEU's here because I have had great experience finding what I need to fulfill my CEUs and the staff has been very helpful when I needed answers. I already have a couple classes lined up for my next CE classes! Great distance learning experience. Interesting, convenient, and user friendly. Thanks! very easy to enroll and to pay. Well designed web site. I am blind but the web site is easy to navigate. Thank you. I took my time and studied slow but I learned a lot. Home study is great, I can save a lot of time for commuting time. The person I talked to on the phone when ordering my courses was wonderful and very helpful. I will definitely use your courses in the future! You certainly have any bugs worked out in providing online training and testing. All very user friendly- simple and clear. Great way to meet state requirements. I am mobile working for the Army and this helps me keep my license by taking the courses online. I like that you can look up the courses offered by hours and whether totally online or not. And Especially that you can print out the course and the test. Makes it very nice that I have the material to review later, or to be able to refer to. And that you are aware of the State and Associations requirements. Thank you! Your classes are exceptional! Always Helpful! Always Respectful! I always learn, grow and deepen my understanding of massage with your classes and I have been taking your classes for...15-20 years. Thank you. This site for CEU's is excellent for me. I have recommended it to another Massage Therapist who uses it also. Good selection of subject matter to choose from. Thanks! Wonderful, interesting course on ethics! Integrative Healthcare made it simple and easy for me to complete my final CE hours! I'll definitely be back for more!! Customer service was excellent and friendly....thank you! Compared to other online CEU courses I've taken over the years your Institute provides a more thorough and educational packet to study from. It is more informative and gives you resources to gather more information. The best home study courses available for massage therapists. I have taken many classes with you and loved them all! I do plan on taking many more with you as well. I love the convenience of having the course materials mailed to me so I can complete them in my off work time and take my time learning all of the wonderful materials and making sure I understand all of the information. You are all amazing, Thank you! I love these classes. I am a 17 year practicing massage therapist. These classes are perfect for professionals to explore new modalities on our own time. Thank you!!! Courses offered are valuable for the Massage Therapist, etc. I have taken several courses from the Institute and have been pleased with the results. Courses are affordable and adequately varied. Great courses! Easy to navigate. Staff is very nice to work with over the phone. I have taken your courses before to complete my ceu requirement and have recommended them to other massage therapists. Thank you for offering so many interesting courses. Please keep up the good work! I undertook four CEU courses today. It was fun and provided me with new insights. I really like this format and the opportunity to search the class list for topics specific to my current needs. Thank you for this great way to update my knowledge all while at the computer in my pajamas on New Year's Day. This is the third course I've taken with the Institute. I have enjoyed the material of each course as well as gained knowledge and wonderful resources. I highly recommend the courses offered!! The staff could not have been more supportive and will be a main reason I return to you for CEU's. Anyone can post on line, but having easy to reach live support is wonderful. Thank you! Fast and easy to access. No travel. Very cost effective way to get Ceu's. I always start with the Institute when I need CEU's. Your courses are concise and easy to do online. Thank you for this service! I appreciated the ability to print out the test and take my time and then take it online. It was so much less stressful. It was also very helpful, as I am a busy mom and never have a huge chunk of time in one setting. Over all it was a great experience. I have tried other online CEU courses before and this one is the best! I enjoy doing my CEU's with this company. It's flexible, easy and affordable. There are various subjects to choose from and completing the required CEU's for license renewal is effortless and easy. I recommend it to anyone who doesn't want to spend a lot of money or doesn't have the money for expensive workshops. The material was simple and to the point exact to my needs. The process of purchase, study and completion was quick and easy to understand. This was my first online course and I will absolutely do it again. The courses offered here are informative and easy to take. The staff is extremely helpful too ! The only site I trust to complete my CEUs. Informative as well as educational. Thank you so much!!!!! Wonderful program folks! You never disappoint! Your courses are informative and helpful. Many thanks. This is my first course here at the institue and found it interesting, user friendly and usable in my practice. Thank you so much! I love the prices too! Great for the new/starting out therapist on a budget. I love the convenience of taking these classes in the comfort of my home. I previously had a bad experience with an online course from a different provider but yours was so well organized! I used customer support for a computer glitch and they had it fixed within an hour and at the same time were so friendly and helpful. I'll definitely be taking future courses with you...thanks so much! Love ya'll! Jessica P. is extremely helpful!! Initially ordered duplicate class. Called and a very kind and professional individual changed my registration to a new class so I wouldn't have a duplicate. Merci. I have taken many courses on this website. They have helped me experience new things. Every course I take I learn something new. This is a good website. i love you guys. I use you all the time for me CEUs! I have not been disappointed not once. Keep up the great work! This is my 2nd time taking an on-line course. My 1st experience (HIV Course from a different institute) was not informative nor was their test anything related to what was needed/required for my practice. I was reluctant to do another on-line course after that experience; however, I heard good things about Integrative HealthCare and decided to try it. I'm so glad I did! The materials to chose from are excellent and the process was very easy. I also enjoyed the Ethics book written by His Holiness the Dalai Lama as his philosophy is filled with wisdom, love and compassion for all. I love your courses and appreciate all you have done to help me complete all of them - as I have just now done. Thanks. I, unfortunately, forgot about 3 additional ceus hours. This was a stressfree easy solution! While I have not taken online courses from any other Massage Institute, I really appreciate your institute and the ease with which I can obtain and take the courses. I have learned a lot from each of the courses I've taken, and the staff has been extremely friendly and helpful. Thank you! So glad to have reasonably priced classes available! Your online classes are great! Good information. Quick, easy and super convenient course. I've taken quite a few courses here and have appreciated all of them so far. I have used this site for the past three years now. I have been happy each time. Easy to access, study, complete the course and obtain CE requirement for ethics. Clear directions for how to take the test. I felt this was a supportive educational offering done very professionally. I've used the Institute for years and will continue to do so. It's fast and easy. Very helpful and friendly when I spoke with someone on the phone. Thanks for having "live" people to chat with. I have always found the materials suitable for course learning. I will definitely continue getting my CE's through the Institute! This was my first CEU course as most of the classes i take are workshops that I attend. Thank you for the ease of access and wide variety of courses offered. I love the Institute and have used them for years. You/they have the BEST customer service. That is why I keep coming back for my CEUs. I've used this website before for CEU's, and they are always well constructed courses. The courses are affordable and very easy to make sure each course is accepted through each organization. I have always taken courses in person this was my first online course. It proved to be very easy and I will certainly return for more classes and CEU's. You are doing an excellent job guys! The courses are perfect! The customer service is wonderful, professional and warm. The website was great too. Keep up the great work. Looking forward to taking more courses! Thanks! Tiffany at Integrative was excellent! She was very friendly & upbeat & knowledgable. She was prompt in returning messages and relaying information. I love this program & will be a long-time customer. Life is for being happy :) Thanks for trying Tiffany! Erika too! Very sweet and helpful. I had an issue with a defected DVD and sent an email. A new one was sent to me within a few days and I received two calls from Heather on the status of the new DVD. I was very pleased with the level of service provided and impressed at how quickly I received a replacement. Thank you!!! Thank you for the great class and information. Very valuable and helpful information. I love that I can print off the material and save it for personal reference. Very very useful!!! Thank you for a great course! Your site is easy to navigate and all the material and information is straight-forward and easy to understand. As is always my experience, I found the staff to be exceedingly helpful and attentive. I am delighted to use your service and thoroughly enjoy the learning experience offered. I found this course work especially engrossing and welcomed the opportunity to work with it. The website was extremely easy to navigate. I was also happily surprised to find that, by providing information about the region in which I am licensed, the website alerted to me as to whether or not certain courses met my states requirements. I've been enrolled in IIHS for 8 years. I just wish I would have participated in these programs many years ago. I've learned more thru these studies than attending classes since 1997. I truely mean this. I'm so grateful - grateful for the availability and knowledge. The fact that I can take my time to learn and remember is awesome, and not very expensive. Yes I will refer to all LMTs your services. Tiffany was the rep that helped me to choose my courses, understand my options in test taking & she was friendly, knowledgeable & reliable in all of her interactions with me. I spoke with Erika as well, also very sweet & Helpful! Maintaining a massage license in good standing for 25 years, I have been using the Institute for many of those years in order to meet my CEU requirements and have always been very satisfied with both the courses and the customer service. This renewal season I was particularly impressed when I ordered my selected course online and was contacted the next day by a staff member to make certain that there was no mistake before shipping. Imagine my delighted surprise when I discovered that the Institute had retained a record of all courses that I have completed with them and, followed up to make certain that I would have no difficulties with license renewal as a result of again taking a class that I had completed nearly 10 years ago (this was deliberite, I wished to have a refresher in this particular modality)! Your helpful and pleasant staff really went "above and beyond", and in so doing secured a very loyal return customer. I love this company. I truly feel they care about the information they put together. This helps me helps others. I am a massage therapy instructor and recommend your site to every class. Beautifully organized website, clear, inspiring descriptions of courses, rich variety for course selection, current and up to date cutting edge content of each course. Clear and well organized steps to find a course, take a test and receive certification. Your website is so well organized, clear, accessible. Courses are interesting, rich, informative and current with cutting edge information. So far, each class I've taken from the Institute has been such a pleasure -- providing both practical skills and inner centering -- that I look forward to every chance I get to plunge back into the readings. Thank you! I SO APPRECIATE the work of your Institute. You have a BROAD selection of continuing education courses that more than meet my needs as I seed ongoing education in a field that I love. I'll be back! Nothing really compares to a hands-on workshop, but for online CE, these courses are informative and convenient! Integrative Health Studies is a valuable tool for continuing education with great courses and user friendly technology. Thank you. I have taken several courses through this institute. I prefer using this institute because I can find interesting courses and get the hours I need for my license update. The courses I have taken so far have met my needs. I will contiue to use this site for futher course.I would rate this a 10 for ease and content. I have been using this resource for a number of years and have always been satisfied. this was my 4th course I took from the Institute for Integrative Healthcare Studies. I love the fact that I can take my time going through the material, specially to be able to watch the DVD as many times as I need and have it to revisit. Great course. Course was easy to access and easy to follow. The website was helpful in telling me exactly what was needed for the PA State Massage Board. Thank you for having an affordable and reliable CEU website! Than you so much for excellent customer service! Extremely easy to use and navigate. I was able to go at my own pace and review anything I needed to. I would recommend this to friends and I would absolutely use this again! Thank you! Every year I take my CEU's from the website and I absolutely love it! Will come back again next year! This is the second time I used this institution to renew my license. It's affordable, easy, and you get to keep the materials & have it as a reference for any future use. You can always go back to it to refresh a technique or modality in case you forget. Thank you so much for helping me to retake this course. Without your help, I would have lost my earned CE credits to maintain my NCBTMB-(it was a mess because of they changed to Board Certification) Anyway, you guys saved me! Saved my time that I spent for studying and the money..So, Thank you again!! I truly appreciate your help! Plus I have to say... anytime I call you guys, all of the reps are very nice,and I appreciate that too! As an RMT in Ontario, I find this online tool for category A CEUs a wonderful resource. Well planned and chosen for an RMTs needs. I will be taking many CEUs (category A & B) through your site! I am very impressed. This was my first time taking an online class. It was easy to follow and informative. I will gladly take more online courses. Thank You! I currently reside in Japan which brings in possible issues with time and contact options. The staff that helped me was extremely friendly and understanding of concerns. Also, being in Japan sometimes causes shipping delays and issues. However, the ordered materials arrived very quickly and I was refunded the shipping amount even though it was my mistake when I chose the wrong shipping options. I have enjoyed using your service and will continue to do so. Thank you! This Institute always has great classes and lots to choose from. Always my go to for continuing education. Thank You for providing such a high quality online course and making it research friendly. Your customer service staff was very helpful whenever I called for assistance. Staff was extremely helpful and went above and beyond when I had an issue with my account. Thanks for a very user friendly site. This process is so easy. I feel so efficient with my money and my time! Cheers! I was extremely pleased with the competency, friendliness, and patience of Tiffany, the lady, who helped me to set up my classes over the phone! Thanks for providing this user friendly service! I am so happy to have found this resource for CEU courses. It is everything I could ever ask for. Convenient, high quality instruction, affordable, easy to navigate...everything. Whoever created this system is a genius! The information was very accessible and easy to understand the testing process was efficient and I will be ordering more courses to increase my knowledge in the near future! To be able to study at home made the test much easier for me. Thank you! Everyone has been very helpful, very kind Always answers my questions. I am taking another course and will follow up with more. All of the courses I have taken over the years have been priced right and GREAT material and I always learn something new. I love the fact that if I order the hard copies, I still have online access to the test and materials. Big help! I had a question about not having received the course by mail and e-mailed my request and quickly got an answer to my surprise!!!! I have enjoyed all the classes I have taken with the Institute. Always my go-to for CEUs! Excellent information and topic choices. Plus, the customer service staff are always polite and helpful. I enjoy the courses you provide for home study and will continue taking courses from you. This online testing has really made life easier. I have been doing course work studies with the Institute for Integrative Healthcare Studies for a number of years. I am very pleased with the wide variety of courses that are offered, as well as how informative they are. Thank you for always offering special discounts! I love this online institute! In AZ we are allowed to do 12 hours of massage CEU's online and I have done three 12 hour classes with you and I'm glad you are around! I am very pleased with your courses. They do provide professional quality content. Thank you for your good product and service. I have relied on the Institute for many years, and across multiple states, to fulfill my CEU requirements, and to add to my knowledge and value as a practitioner...thank you! I love taking my CEs on this site! I have taken a number of courses here and am always satisfied that I have come away with a new understanding of the material. I find your online courses to be very informative, interesting and convenient! Thank you. Having these online courses available makes it easy to fit in the continuing education requirements. Great customer service. Easy access to online materials and tests. Thanks! I have already recommended this Institute to a bunch of my friends in the massage profession. Thank you for providing quality, affordable and useful classes for us. I found the at home study very interesting and easy to follow. Great way to get CE! I was pleasantly surprised to receive a hand-written Thank You card from someone at the Institute after I purchased my courses! Great customer experience. Thanks. Very easy and non stressful. I was able to study at my own pace and learn from the material. I have always been happy with your courses. They are clear, informative, easy to navigate and nice to have results instantly. I appreciate the staff helping me change my course and correcting the amount of the difference of the courses. They were very patient and kind! This was my first course with the Institute. Thank you for making the process very easy to work through. I will be taking more courses this year. Staff was so helpful. Better then I expected! Cheers! I do like the variety of classes offered and the ease it is to take the courses and tests at your leisure. I've taken several course with the Institute For Integrative Healthcare Studies and they all have been very interesting and very informative. I appreciate the scope of courses offered by the Institute and feel they are fairly priced. The availability of the materials and test online was especially appealing to me as I live in a remote location. I like when the text can be viewed online and you can start your course right away as opposed to waiting for it to be shipped. This website and their staff are incredibly user friendly. Informative current information that is beneficial for everyone to know. The Institute makes it convenient to complete continuing education courses! Love taking your home study courses. I like getting the material in the mail and taking the test online. Reduces my stress level!! The Institute's courses are great in every way - convenience, material, and interest! This was my first experience with the Institute's CE courses and I was very pleased with the variety of offerings. I will definitely revisit the site for other CE options. I am very impressed with your online courses and the information provided. I print the text of each course so that I will have a "hard copy" for reference at my practice. EXCELLENT JOB! You offer great courses and your staff is very friendly and helpful! I spoke to someone on the phone who was just so nice and friendly, and also helpful. I find the Institute to be of very high quality. So glad to be able to access and print previous certificates! Great professional website, with amazing courses that I know I will learn more and more from as time goes by! I love using your website due to the ease of use and knowing that you have my back if I choose a course that would not meet the NYS CEU requirements! Your staff is friendly and extremely professional and helpful. Love the ease of at home testing. Great support and friendly people. Thank you. Great experience for CE requirements! Thank you! So nice that you keep record of all of my completed CE courses!! Makes reporting to NCBTMB much easier than gathering up all different certificates from different providers. Thank you for providing interesting and dynamic topics to choose from! I am officailly "sold" on this company for my LMBT continuing education needs. Excellent courses, content of courses and delivery. I will be a repeat consumer! I need the physical materials so that I can peruse them as I go along with the ability to take the test on line for speedy processing. You provide both. Thank you for making it easy for someone like me with a crazy schedule! Materials are presented well and easily understood. I always learn something when I take a course from the Institute. You were very helpful in going over questions on the phone. I have been using you all for years and will continue to do so. Thank You. Having these classes available online is lifesaving! Thank you! I have always enjoyed taking these online classes. They are very informative and enlightening. I tell all fellow Massage Therapist to come to your site and take courses. I look forward to more from this online school. Thank you for making the search for approved ceu's so easy on your site! It was very helpful to get the right class and know it was approved. It was my pleasure to work in my own space and time and without any element of stress. I printed the material and arranged it as a book to ease on my study and to go back and use the information in the future. Wonderful way to stay on top of me academic requirement. I have been in the Healthcare field 20+ years. 7 years ago I took my first course with Integrative and was impressed with the material and have been a fan ever since. MAJOR KUDOS! I was pleasantly surprised as to how simple taking the test was. Other websites have unlimited amount of hoops to go through which makes taking the test far more difficult and overwhelming. I was very calm through this process and couldn't ask for a better experience! I have taken your CEU classes for a long time and I am always pleased by the quality of the materials. It always brings new knowledge and hold my attention. The Institute for Integrative Healthcare Studies makes home study courses that are practical, easy to follow, and their site is very navigable. I am new to this site but I am impressed and will definitely use it again. I can't say enough positive things about The Institute for Integrative Healthcare Studies. They are a great company. Their courses are an easy interesting study and the staff is most professional and accommodating. I will be using them again in then future. It is much easier to follow the step by step procedures through the materials and guidance provided by the institute online and I Love the selection of course work! Online material was very easy to access and print out system helped a lot. Even though English is not my first language, it is very easy to follow and get into the points. Courses were very convenient, very much appreciated!!! I found the materials to be very informative and easy to understand. I know the information provided will be something that I can continue to use and reflect back on in my practice. The staff that I spoke with over the phone were very friendly and helpful. I highly recommend Institute for Integrative Healthcare for others to use and feel confident in doing so. Your staff was very accommodating and extremely patient and professional! Every experience has surpassed my expectations. I have already ordered another course. I am a hands on learner. I do well learning in a classroom or in a one on one situation. I was skeptical at first, but was so pleasantly surprised that I was able to learn so well in this format. The instruction was clear and concise and the material was easy to assimilate. I can't wait to take more classes. Help support system was very helpful. Could not remembered her name, but she was very helpful and knew what she was doing. I love this site! Provides me with many options of courses necessary and important to my practice in a very uncomplicated manner. This Institute is amazing. I was able to find what I was looking for easily and enjoyed how it was all set up. I will definitely be taking another course from here! I commend your staff. I had spoken to two different operators and they were incredibly helpful when I was really stressed out and incredibly pressed for time. Made this process much smoother. My co-workers recommended this site and I'm really glad they did. I will be taking future classes with you for my CE's and for fun. Thank you again for making this a smooth process for me. I continually use this institute for my CEU's. Find the staff to be helpful and the courses easy to understand and take. I think the online courses and subjects you offer is absolutely amazing. Please continue your excellent service. Friendly Customer service, and interesting course materials and options. Taking courses online with Integrative Healthcare studies is an excellent way to continue my massage education with classes I enjoy at a time of my choosing. I appreciated the help I got from the institute--very easy to speak with customer service. Thanks. I enjoyed the course and my visit with Emma, eight minutes before you closed. She was able to assist me in a friendly, professional manner. I am so impressed, I am considering taking more courses now, even though I don't need anymore for this year. smiles! Love the Institute! I have been taking their classes for over 15 years. I love the convenience AND content of your courses. Thanks for a great product! As I have grown in the therapeutic massage field. Your institute has always provided just the type of course I was needing at the time. I will continue to use and support you. Thank You! I really like the format of your course materials. I've tried other company's ceu courses over the years, but I like yours the best. I really appreciate the fact that your website is easy to navigate and thorough in it's presentation. Thanks! I have been using your company for my CEU's for the last three years and I love the variety of course options. The materials are always very thorough! The institute provided an informative way to learn a new skill set very quickly with resources to build on what I've learned. Well Done. A great way of taking required courses without having to travel or arrange around others schedules. Thank you so much! I am delighted to find your services as a way of not only completing Continuing Education requirements for New York State, but also enhancing my massage therapy skills. The discount is greatly appreciated, too. I love taking my CEU's from here!!! This website is great. Definitely will continue getting CEU's from this website. The test was straight forward and I learned a lot and I am now using this in my practice during massage. The courses offered here are very thorough and challenging. As a massage therapist I can obtain vital information, educations, skill training, and CE's at my own schedule without giving up valuable office time. Signing up for the course was easy. Quality of information was good. It kept my attention and was perfect for my busy schedule. I will continue to contact them for further education. You are my go-to site for massage CEU's. The courses are informative, interesting and the website is easy to navigate. I always recommend you to my friends who are in need of CEU's. Thanks!! Great customer service. I can always count on great content and engaging educational material with these courses. My course had expired (life got in the way). The lady who assisted me in renewing the courses was incredibly kind and helpful. I do not remember her name, but please look it up, and thank her for her outstanding customer assistance. Thorough information was provided. Wonderful online courses. Well above the rest. I'm looking forward to taking more courses through Integrative Healthcare! I love being able to get this information at home, it's great. I also love the wide range of subjects. I've always been impressed with your excellent coursework. Thank you! Very user friendly. Made completing my Ethics CEUs a breeze! I am glad I have found you, and next time you are going to be my first source to continue my education. Thank you!!! You always provide wonderful personal service when I speak with someone on the phone and the online courses have been great. I have recommended you to many others. Thank you! I appreciate the opportunity to be able to complete a CE class online because I am not able to get into a hands-on class before Sept. I also appreciate that the institution caught the fact that I had signed up for a class that Texas did not consider CE. An employee called me and helped me find a class that Texas does accept. THANK YOU! I sincerely appreciate the IIHS for offering interesting, focused topics to obtain CEU's for re certification. One always learns new information from IIHS's courses. Thank you. The online access was great and easy to use. Thank you! I found your support staff very helpful and courteous and the material studied very helpful! Your website is very easy to use which I appreciate because a well-designed site saves time. The variety and quality of courses offered are excellent. The first place I go to for CEUs is the Institute. My favorite instructors are Sean Riehl and Dr. Mally. I have never been disappointed in the classes I have taken, and have always easily understood the material and have been able to use it that day in my practice. THANK YOU! This is the second course I've taken through the Institute and I have thoroughly enjoyed both! Thanks and keep up the great work! Each time I had to call the institute to speak with someone regarding a question I had they were very polite, professional and knowledgeable. I love the friendly phone contact and the feeling that I could call if I needed to. I like that I have ample time to complete these courses, to actually have the time to study deeply and practice. I enjoyed the ease of navigating the website and finding the courses I needed. It's great that the Institute has many different courses available! Thank you! I find the courses well organized and content suitable for my needs. The ease of finding, registration, printing the material and taking the test online is what continues to bring me back to this site. This is my first course with you and I was surprised how much I retained with such a simple approach to learning the content. I will definitely be back. Your staff are the most helpful I have ever encountered. I have and will continue to recommend your institute to others. I am grateful NY State accepts your courses because I am enjoying the freedom, accessibility and information. Studying for my credits. I always prefer to take hands on classes but that isn't always possible. I have a very few companies that I use for online classes; this company is one of them/ huge variety of courses, generally reasonably priced. Thanks much for all you do! I was allowed to access the course almost immediately after paying for it. I was able to complete the course, take the test, and have my certificate in a matter of hours. They definitely are setting you up to succeed. I have taken several courses with the Institute for Integrative Healthcare Studies and am very happy with the courses they offer. The courses I have taken were very interesting and were presented very well. I will definitely take more courses from them in the future. Thank you for this medium in order to assist us in getting out CE credits easily and within our own schedules. Thank you for providing this resource to us. It is beneficial on many levels. While I find the hands on courses important I appreciate being able to take other courses with more flexibility to my personal schedule. This is the first time I used the Course Material from the Institute for Integrative Health. I am extremely happy that I was directed to your site. There are many course offerings that I am interested in. I will use again. I am very satisfied with the straight forward format and the quality of education that I receive when I acquire CEUs from this the Home Study site. The Institute is doing a great job in preparing all the materials in all courses that they offer. It has been a great help in my practice as a Massage Therapist. Thank you very much!!! I enjoy doing my studies online. It gives me the time I need and I can always go back and review. I have taken other courses from the institute and I will be taking more. The staff has always been very helpful, pleasant and knowledgeable. I can't believe how easy this program is to navigate. I will probably use this site for all of my CEUs from now on. Loved it. Thank you so much!! It is also very affordable. Always helpful and kind when questions arise. Thanks to a great staff at the Institute! Practicing massage therapy for 20 + years I enjoy the courses through the institute as I can do the coursework at my own pace in between working. Sometimes hands on classes are offered on weekends when I am working so the home study is a great alternative. Also like the materials to have on hand to refer to time and time again. This is my second experience with the Institute and I am very happy! Customer service has always been great and the materials are interesting and to the point. Just what I was looking for! This was my first time taking a CE class on this site and I loved it. I will definitely be using this site more often. I love how accessible these courses are!!! Quick, simple and clean. The first time I used this institute, I received a call from an employee notifying me the course I wanted to take to renew my license wouldn't help with my state renewal for my license. I quickly changed my course and... boom license renewed! Highly recommend this site. You guys rock!! As usual these courses exceed expectations and have practical information for my business and personal life. Thanks for the excellent, quality informtion. These classes are so good! Very informative, interesting and well presented. Thank you ! After taking several other courses last year, I came here to complete my required CEU's. This is a great way to gain knowledge and add things to my day to day practice. This online course website is a great option. I feel like I can get quality information that is straight to the point and easy to understand. When confronted with a questionable answer, I called & received immediate assistance to verify the answer, as well as informed on the procedure to update my score. Was very happy with the way it was handled. I really appreciate the high quality of courses available through your institute compared with others I have encountered. Also, your support staff are always extremely responsive and helpful! Thank you! I really appreciate the convenience of taking the courses online. I feel they are presented in a professional way without a lot of excess information. I look forward to taking other courses and recommending others to your website. By the way, the website is so user friendly, something that matters greatly to me. Thank you! My experience was fantastic!!! I will be using your services from now on. Bravo!! I love the fact that I received a personal phone call to inform me I had paid twice for a text that is used in both of my Pathology courses and was refunded. I'm thankful for the courses that you provide and that I can complete them on my own time, when it is most convenient for ME. Thank You! Great course, will continue to use Integrative Healthcare for my continuing education needs! Thanks for having this great resource available! I recently took some Continuing Ed at an actual school and the material was WAY less informative. Your online class was more thorough and the material more helpful than a class I took in person, and I think that is a huge win for your program! Your support people are excellent. I really love the online courses! They are not only helpful, but I enjoy being able to work on my own time schedule. I can pick up a course anytime and learn something new for my practice. Awesome, thank goodness I found this website. I will continue recommending it to friends. Your courses are a dream compared to some others I have seen. You are the best site for CECs on the web. Thank you for producing such high quality continuing education classes. Thank you very much - I think you provide an excellent and much-needed service, especially for those of us who live in rural areas and cannot easily travel a long distance to major cities to take CEUs. I have been taking your online courses for approx. 3 years. It is always a pleasure to learn more and I particularly like your variety of classes, combining eastern and western philosophies. I really was impressed by the care of the rep calling me because the courses I originally signed up for would NOT have counted towards NY's CE requirements. I love getting my continuing enducation through your courses. I can do them in my own time and feel I get so much more out of them. Thank you for your quality classes! I continue to be impressed by the high quality of your home based courses. I always learn something new and I am able to incorporate the techniques into my work right away. I have enjoyed and learned much from each course I have taken. Thank you for serving our massage community. I appreciate the wide range of knowledgeable and interesting courses you offer. Thank you. Easy, inexpensive, effective way for CE hours! I will be using this site every cycle. I wish TN law would allow more than 8 hours of online course certifications because I would get them all here. Thanks! I spoke to Rhiannon two times. Each time she was professional,kind and always willing to help. She was very knowledgeable. Thank you. I welcome all massage therapist's to visit this institute whenever considering online courses it's very convenient and helpful! I love the ease of your website. Great applicable course content as well. The Institute always delivers great courses which are up to date with the industry and they're always interesting and enjoyable! Compared to other online CE credits offered, your site offers the best courses I have seen. I have found this institute to keep up their tests better than others. On other sites I have found they have links to information that do not work. Here all the information you need is provided within the course and you need not link to or search elsewhere for answers. Your online courses were a godsend! Upon renewing my massage license, I was told that I needed 36 CE hours that I was not aware of. Around the same time I received your postcard in the mail. Thank you so much for offering these classes online! The two classes I took were excellent and your customer service rep was extremely pleasant and helpful. It allowed me to renew my license in the short amount of time before it expired. Thank you so much! I called for assistance to change my chosen class. There was no problem to change classes and telephone staff was extremely helpful and understanding. Very patient as well. Thank you for making this process so easy. Great response and communication from staff! Love this site. Good clear education and fair testing. The site was set up wonderfully. I had options of how to get to the course I wanted without any frustration. I will be coming back for more courses and telling my fellow therapist about the Institute for Integrative Healthcare Studies. Staff was incredibly helpful in helping me find he right course especially after I had made a mistake on my own. I can always count on the Institute for Integrative Healthcare Studies to provide just what I need clearly, concisely and thoroughly. Very well engineered tech-wise. User friendly. Extremely professional, yet positive philosophically. Appreciated use of empathy and energy concepts. Staff was particularly helpful in helping me find the right course for my needs. I'm grateful for this convenient and economical way to earn massage CE's and a new textbook I can always use for reference. Very convenient, efficient and easy. Will use your services again! I have been exceptionally well pleased with all of your courses over the years and do not even look elsewhere for my online CEU's - Everything has been "top notch" from day one - which was 15 yrs ago! Staff member who helped me on the phone was extremely helpful and knowledgeable. Great customer service skills! It is so hard in today's world to always get to an active, hands on class. Having these online resources available is wonderful! The course content with the instructional DVDs is a nice way to study and learn at your own pace. I will continue to use you in the future. I have taken several courses from this institute and have enjoyed each one. I would highly recommend this institute to all. Easy access, good support group, and good material. So glad I found this website for completing my CEU's. It has been great. Lots of topics and easy of completing. I love and appreciate the ease of your services and programs. I love and enjoy your services and programs. Thank you for the variety of classes available. I look forward to taking more classes, other than the ethics requirements. Very satisfied with all classes I have taken and will continue to do business with your program. Thanks! Had to speak with the staff to get my account information updated and they were very helpful! I have taken courses from the Institute before and they have always been excellent and very informative and very reasonable in price. Thank you! Can't say how pleased I have been ! They have always been very helpful and kind! This is my third bi-annual renewal cycle in which I've taken courses from the Institute. I always find the courses to be extremely excellent. I love this website! It is so user friendly and offers informative and useful courses. I would recommend it to anyone seeking such knowledge. Thank-you Thank-you!! I am so glad this is so easy to understand because I am not computer smart and this made it very easy for me. Very glad I found your site and the many courses offered. This type of study worked very well for me! I love all the courses I've taken and will continue taking the courses that are of interest to me. Thank you for offering such a variety of courses. They have met all my needs. I love taking courses from the Institute. Very interesting and informative and easy to work with at home. Thank you for making this easy for those of us with such busy schedules. It really helped. Very affodable and easy to use... I will take lots more courses for sure. No complaints! 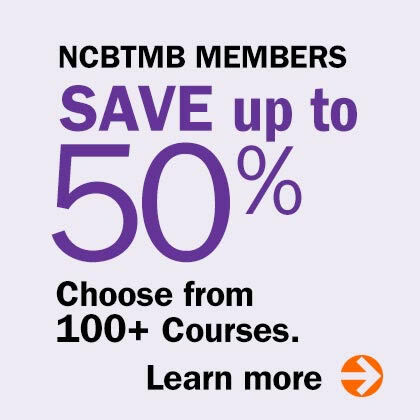 I love this company and the variety of courses it offers. It makes it extremely convenient for me to be able to complete CEUs with my busy schedule and the information is very beneficial. Thank you!!! Excellent customer service when I called! Thank you! I loved this course, and the knowledge I gained is empowering. Some of the test questions were a little vague though, not seeming to relate directly to the text. All in all...a smashing success; I'd do it again! This site is awesome. I appreciate the customer service from the initial phone call, on. Thank you! Easy to use and a great variety of courses! Everyone on the phone was wonderful. They knew the products and explained everything, in a kind way. They were very professional in there matter also. Rhiannon's help in setting up my account and course was amazing! When I had difficulty getting back in to take test, the Customer Service person was extremely patient and helpful! I was very excited to find this website with such great courses at affordable prices! I have been very impressed of how easy and informative it was! I will be sharing this with all of my fellow RMT friends!!!!! This is my first time as a student on your courses. Thank you for making it easy to learn at the comfort of my own time and place. I plan on taking many courses from the Institute. I feel very supported by the connection through newsletters, Facebook and business links with the Institute. I appreciate the variety of courses included with the online training. The website was easy to maneuver and process. I feel the courses I've taken have increased my knowledge & clientele. In the past, the support staff were very helpful and considerate. The site was easy to follow and the material nicely organized. Thank you! I LOVE the courses offered and how they are laid out! All my courses that are required are from this site. Thank you. Meets my requirements and is easy to complete online with certificates immediate. I come to this website to do all of my CE classes. I use what I learn in my practice and it saves me time. To be able to do the online courses on my own time is priceless. I have 2 other courses to complete. Easy fast access for those of us to busy and wait until the last minute. Thanks for being there. Excellent courses, excellent materials...the whole process is very professional and informative. Thank you! Your staff by phone was extremely courteous & helpful! Loved the material! 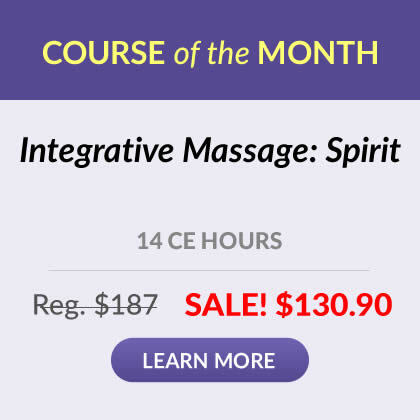 I LOVE the courses from Institute of Integrative Health Care! The content is always clear and concise. The questions are easy to interpret, and the hours expected are accurate. I like that the material has good references to scientific studies, and I can use these references to learn more on my own later. Thanks for putting together this high-quality information! I will continue to further my educational endeavors with the Institute of Integrative Healthcare. Their material continues to improve growth for the professional practitioner. I really like the Institute's courses and ease of use. I have and will continue to recommend this site to others! I have taken other courses and find them very complete and helpful. I have recommend courses to others also. Thank you for providing ceu's online! Easy to navigate and complete. Will continue to use this site for my CE credits. Thank you for making it convenient and affordable! I love how easy it is to do the courses in my available time frame from work. Great choices of courses too. I love taking my CEU's from this website! They are very clear and I learn a lot! Will continue to take courses from here in the future. I like the ease and accessibility of completing my required CE courses on line in my own time and without having to pay extra for travel and accommodation. I have been very pleased with my experience with the Institute and the courses that I have taken. I will be looking forward to returning for many years. I just love these home study courses. I really have enjoyed every class I have taken through the Institute so far and I'm grateful to have such an awesome resource for taking my CEUs! I trust this website to always provide accurate, up to date information. It's my "go to" for online courses! Your online courses are convenient to take from home. Course material is well presented and easy to follow. Thank you so much for providing accessible information and study courses, that allow massage therapists to complete their continuing education units. As usual, your materials are always well presented. Very professional! I have enjoyed many of your courses. Thanks for the information. Since I live a distance from where many of the hands on classes are presented, I find your courses a way to keep up on my required CEU's. Precise, educational and to the point. Superb for busy massage therapists wanting to learn new subjects in manageable amounts of time. Good value. Looking forward to seeing new courses added to the site. I will be back for more education. I love this website! This site has great deals, there are always many courses to take and discounts. The information is thorough, informative and always interesting. They also have some of the most interesting modalities, its GREAT! Can't wait to take another CE from this site. The staff help was unbelievably amazing when I called for help. I enjoy the courses offered by your Institute because you all include courses that deal with getting outside of the box. Your courses are not just about rub here and there, they delve deeper into human nature. Thank you. Always professional and easy to do business with you. Thank you for creating course material as well as free courses. I will come back again. The Institute has consistently provided study materials of excelling value. I have experience with a number of continuing education providers, and the Institute is my provider of choice! Thank you for making my first on line course so enjoyable. I look forward to continuing my continuing education with you. I have taken other courses through the Institute and find them interesting, relative and convenient . Everything was awesome, cant wait for my next course to study! When I was planning my CEU courses, I received a call from the institute alerting me to the fact that the classes I was choosing did not meet me state requirements. The student support staff then walked me through the journey to creating the ideal CEU plan for my state and my needs. Thank you for the help! I enjoy learning from this institute. The courses are engaging and easy to follow. I highly recommend it to others looking for CEUs. I previously ordered a different course that was not accepted by Texas and I had know idea. The staff contacted me, told me and asked if I wanted to switch course's. Just for that I am loyal and will only get my courses from you guys. I was very impressed by that level of customer service. Also the course work I switched it out to was fun and interesting. I am very pleased. Fantastic customer service and care! Thank you very much! Some friends of mine are looking for CE classes and this program is very easy to study so I will recommend your institute to them. I have taken many courses through the Institute over the past 10 years. Highly satisfied with courses and process of testing/certification. Thank you. I really did enjoy reading the material regardless of the actual test I had to take. I found the information important and relevant to my current work situation. I also like the fact that I could print out materials and study as well as having a year before the material online was expired. Being a very busy individual that truly helped. Thank you for continuing to offer exemplary, extremely well presented and engaging courses for Massage Therapists at a reasonable price!!! You guys offer great courses and the online option meets my busy small business owning, single mom, avid runner life-style. Thank you! The institute program is a wonderful program for professionals, it gives us the opportunity to build our practice and earn our continuing education hours. Thank you. I already promoted the website on my Facebook page to all my LMT friends!!! I am excited to take more online CEU's through this site! I already plan on taking the 2 courses for HIV/AIDs! I have enjoyed every one of the courses I have taken on this site. I have shared with colleagues and friends about the easy accessibility an the low cost as well. I will certainly take more courses and I am grateful to have this resource. The representative was very caring and concerned that I was buying a product that met my needs, and correctly evaluated that another product would be better for my purposes. I really value such caring individual attention to purchases. Thank you. I LOVE the integrative online courses! I wish AR would accept more home study hours but will continue to use this site. It is soooo easy and the prices are WONDERFUL! Especially with discounts I was able to apply! Thanks for having such a useful and user friendly online course program! I love the convenience of learning at home and testing online. I love taking your courses - they are incredibly easy to work with, paced according to your own schedule, and extremely informative. I am very pleased with every course I have taken and will continue to take courses through you. Thank you for the excellent information that I can integrate into my own practice! Every telephone call and every question was answered with courtesy, kindness and attention to detail. I am looking forward to my next course (already purchased) and will definitely be a return customer/student. Thank you! Thank you for making my gaining of credits fun and easy. Haven't taken a class that I don't love yet. Had to call customer service for help with log in and she was amazing, thank you so much! Was a fantastic easy to follow experience definitely will take other classes from here!! This is the first time I tried the Institute, and love it. Always love taking your courses! Comprehensive, interesting and you continually add new courses. Rhiannon was awesome when I talked to her on the phone. I felt like she was watching out for me and have me some extremely helpful advice. I am very pleased with this Institute and will be taking all of my future ceu's through you! I have previously taken courses and it has always been very simple to get information I need, and the courses always help expand my knowledge. I will continue to take courses from this Institute. The support staff was extremely helpful in enrolling me in my current courses. I appreciate all you do to maintain the quality of your materials and to meet the needs of our profession. My conversation with Rhiana (?) last week was extremely helpful. She was fantastic! Many thanks to her for helping me get over any concerns I had about doing online course. You must be doing something right with the courses.I keep coming back for more! Thank you,I'm very satisfied with the Institute and the many choices of quality course material. Thank you for your services. It is so nice to take these courses in my home on my own time. Less pressure so I could focus better. Looking forward to exploring more of your courses! I have taken several classes from the Institute and have always found them to be relevant and easy to understand. I have started recommending the same to my therapists and colleagues. I asked several questions and they were answered quickly and professionally. I thank everyone for that. It really pleases me how friendly, clear, and helpful the staff members are. The materials are well done with clarity. Thank you all. I know I can always count on IIHS for quality CEU classes. Another year another awesome class under my belt! You are the go to Institute... end of story! Thank you! In addition to being an LMT, I am also an RN and Healing Touch Certified Practitioner. Please continue to offer the studies I need for my continuing education in the various modalities. Excellent variety, quality and service!! Your staff was so kind and friendly and extremely helpful. I was not sure that I would be able to use my iPad to take this course and she took the time to walk me throughout everything. I was so grateful and so impressed! Thank you so much! Thank you, so much, for your wonderful courses! I need 26 CE hours to complete the requirements to regain my massage license in Alabama and while signing up for them on your web site I found many more courses that I will come back and take just for my own benefit! I love taking course through the Institute. It is definitely the place to go for online courses! I've been taking courses from you for years!! No one matches the ease of taking and learning these courses. This is my CEU stop for the year. The selection is up to date and interesting, the customer service staff is helpful and friendly...I just won't go anywhere else! Thank you all for such a great job, consistently, year after year! I appreciate you! I have already referred other therapists to your sight. Thank you for providing a thorough, easy to understand, and convenient way to get CEU's. The customer support in your organization is very helpful and friendly. I like using your online courses, thank you! Great way to get what you need !! I have been using this site for about 10 years. I recommend it to therapist colleagues everywhere. I really enjoy self-paced study on my own terms. Good variety of course selection. Excellent staff, great response time, easy online testing. THE best online massage training organization. I have used the Institute in the past and will continue to do so. It provides me with needed courses and CE's. My co-workers and clients are impressed with the courses and my knowledge. I refer them to the site all the time. Keep up the great work! I am extremely pleased with the staff! The web site was down for just a brief period. I called, and a staff member called me back promptly with a status. They also gave me a $25 credit for my trouble. That is great customer service! I will definitely recommend this to my colleagues. I would strongly recommend the Institute to all Massage Therapist for furthering their education. You offer a wide variety of informative course materials and all of the staff are very helpful. I am very grateful for this website. I love that I can print all the information that I need and do it at home then easily report my answers online and print out my certificate. I have referred this site to other Massage Therapists.Thank you. Thank you so much for providing an at-home course for those last few CEU's I needed and making it easy and informative. Getting my continuing education credits through your organization is a God send. Thank you for offering an online option. This was my first online course. It was very easy to understand and complete. I will consider doing another online course. Very friendly staff and very good courses. I find the Institute for Integrative Healthcare Studies - Online Courses to be a great way to get my CEU's. I find the material is very well put together, easy to follow and very affordable. I like that I can see what I answered wrong right away, as well as the correct answer. I love the Institute. The courses are great and when I needed to access the Customer Service, they have gone out of their way to assist and please me. I love the way your online courses are set up. I have no trouble with getting the material or taking the test. The material provided is very informative and easy to reference when taking the test. Thank You for your professionalism. I truly benefit from taking courses from the Institute. The information is thorough and taking them online gives me the time to study the information on my own time without any pressure or strict time lines. Thank you Institute for offering these useful courses. Very friendly website. I took online classes before thru Integrative HealthCare Studies and was enriched with new and usable knowledge to use in my practice. Thank you. This is my first time using your service. The ease of ordering, receiving materials, navigating your site and taking the examination is definitely going to make me a continuing customer. I have done all of my online CE's with the Institute. I appreciate the content, the ease of access and the prices charged. Thanks! I'm taking all the courses I can here for my renewal because of the quality of the courses and because of how user friendly to program is. This is the first time that I have taken an online CEU course and I am very pleased. I have so many choices for study and it is always instructive and helpful. I have had to have help from the staff and they were alwast gracious and kind. I greatly appreciate the easy access, the sales and free course specials.Thank You from a part time therapist on a tight budget! I enjoy your classes and like that I can take a short 1 credit course up to a many credit course. I like the fact that the test results show which ones you got wrong and then the correct answer. I then go back and re-read the material to see why I got it wrong. Sometimes it is a misunderstanding on my part. I am happy I found this site to take courses. It was an easy experience to take the test and to study. These courses were great!! Easy to access, understand and full of great information. Thank you, I will use this service again and recommend it to others. Thank you for making courses and tests available on line in such an easy to follow format. Your instructions and directives and very professional and high quality. This being my first time ordering courses from you, was very satisfying and easy as pie. I will definitely recommend you to my peers and be back for more in the future. Thank you. In the privacy of my home I have been able to further my education and offerings of help for my clients. That is the bottom line, help those who come our way. Thanks so much Institute! I love being able to go to this website and pick the classes and be able to do the work that is required on my own time. Thank you! I enjoy getting all my continuing education courses through the home study website. It is so nice to be able to get what I need and have my questions answered by very friendly staff. Easy to use website...packages are complete with accurate descriptions and results reported in a timely manner. easy to understand, easy to log in, nice and friendly staff who helped me with all my questions. will definately use them again for futher ceu courses !!!!! I will be taking other courses as it is a easier to take these courses, which you have a variety of subjects to choose from, than to have to go to a class and since NYS accepts them for my Continuing Ed requirements I would most certainly recommend you to my fellow peers. Thank-you!! As usual, you guys provide the best CEU's for the best price! I have taken several tests in the past two weeks here on the Institute for Integrative Healthcare Studies site...Each one was very interesting and informative. I downloaded all the courses and tests, studied and then took the tests online - other than the last one, which I pretty much just took the test without studying much. I passed, but barely. I will go back through and really study that material again though, as I thought I knew it all, and obviously I didn't!!! Thank you for the opportunity to improve my education, at a very reasonable price, and allowing me to do this on my own time! Always easy to get quick CEUs. Great site, easy to search and navigate when you know what you need, and nice to browse when you don't know what you want to learn. Thanks! Had a little trouble on the website but the customer service rep was awesome on the phone. I work in customer service and she was a "10"! I have been very happy with the two courses I have completed through the Institute. I just wish NJ would offer more allowance for online credits! This site is a boon for massage therapists. Your company provides very convenient access to informative, interesting, and well-researched material - and at very reasonable prices! I will recommend your website! Many thanks for your continued superior service, it is much appreciated! Awesome people to speak with on the phone! Very friendly, professional, accomodating, and a HUGE help in my case! Thank you very much!! I have taken many courses from you over the years. I have been very satisfied. I love this system! The service is wonderful. When I first joined the Institute I had questions and called for information. The staff at the Institute were very courteous and answered all of my questions that I had. I would definitely recommend this course to anyone and I cant wait to complete a new course. Thanks very much. All courses i have taken from the Institute have have been informative, easy to understand, and have given me many techniques to help in healing my clients. Thank you, and I will be taking more courses in the future. You have my loyalty and appreciation for clear concise testing for ceus! Yall do a great job! Very convenient. I appreciate the way that I can do it all from home. Live classes are great but it's very hard for me to get away. Thank you, I liked the subject matter and I learned a lot. I adore this website and its content. I have recommended this website and the variety of CE courses to many of my friends. Very informative courses and convenient to take anytime you need new techniques to help your clients. I sincerely appreciate the education offered by the Institute. The courses are excellent, to the point, and quite interesting. The staff are friendly, listen well to massage therapists, and process orders quickly! The experience is professional and satisfying. Most of my CEUs have been completed through IIHS. Thank you. Every course I have taken from the Institute has met my expectations and the staff has always been professional and helpful. The institute staff is very professional and extremely helpful in directing and assisting you with questions and concerns. I am very pleased with taking courses through your organization because the material is broken down, helpful, holds my interest and before I know it I gained more knowledge and information than I expected at the start of the course. Awesome source for inexpensive CEU's! I left a comment for the school to send certificate to state and the staff called the next day to inform me that I could do this myself and what I needed. She was very helpful and I will probably come back to this site to take all of my online classes for each new re certification. Thank you. The website is very user-friendly, and informative!! I will definitely continue to use this website!! I love taking these courses online. It's convenient, I study the material on my own time, it's informative and I appreciate that it is made available. Thanks for a very positive experience that is very relevant and high quality. This is my favorite site for online ceu's. Always informative and always adding new and interesting courses. The information I have learned from these courses has helped improve my practice! I always find your courses well defined and informative and get something I can use in my practice going forward. Thanks again. I really enjoy your online courses particularly because I can be too busy to complete a course package all at once and being able to revisit the site is very helpful in the completion process. Thank you. I appreciated the prompt response I received when it was realized the original course I had chosen would not be accepted by my state for CE's. I've done a course with you in the past & will continue to do so, Thank You! Thanks for keeping this field high quality! Works great for me. Wish I could take all my CE online with IIHS. I will take more online courses with your organization. Thank you for assisting us in accomplishing our CE needs! I think this is an awesome website. I will be taking a lot of my CEU's from this site. Very informative and easy to follow. Easy, convenient, affordable. I'll be interested in using your services again! Great website! It really makes you learn it. Not just go through the motions. I love your courses! They provide valid information which is written very well. Your product is awesome! It was very helpful to be able to purchase CEU materials online and then test and receive the certificate immediately upon completion. The website was easy to use and the content was very impressive! Thanks for making this easy!! I have a very busy life and this simplified things and made it very easy to complete!! This is my second online course to take from this company and I will continue to use them in the future. Thanks for making earning my CEUs fast, easy, and affordable! I learned something and I got it done quickly! Will definitely use this company again! Thanks for the quality work! Keep it up! I have used several companies' online courses and I like your system the best. I like your courses! This was my very first online course. Kind of fun to navigate through it! This is great! Thanks for making it convenient for me to get my required hours. This is the second class I've taken and I've enjoyed the classes and obtained more knowledge from them. I will be taking more classes in the future. Excellent! All courses I have taken are highly recommended. The best decision ever made to meet last minute CEU requirements to renew my LMT license. Thanks you! I like being able to do my continuing ed credits online. It was interesting and informative! Excellent services from representatives by the phone! Thank you so much for making obtaining a variety of CEU's available to people who are not surrounded by a wide array of practioners. I really like being able to work at home with the material and take the test on-line. I especially like being able to print out certificate immediately upon successful completion of the course. I look forward to taking more courses from Institute for Integrative Healthcare Studies. I enjoy the on line courses because I have a busy work schedule and home life and it's nice to be able to manage a time frame that works for me. It's nice to use information that is helpful to my practice immediately. Thanks! This is a great way to get my continuing ed classes and credits and be able to accomplish it during times that are convenient for me without having to travel very far or put out a lot of money. Most classes take place quite a distance from where I live and practice. Convenience and cost effectiveness as well as well presented material makes this a winning situation for me. Many thanks! I was having problem in getting into my account and all the staff that i talked to are very patient with me and very helpful. It was very helpful to be able to print the material before hand - I like to study in different places without having to bring my laptop. I like that we were able to print out the reading material and test before hand. Very helpful as I like to study/read in various places. Ie: Book store cafe's, park, train... so it was very convenient. Love your courses. They are above any others I have taken and not to mention the easy account access online for printing our certificates and course info. You are professional and it is refreshing after a few duds.Thanks, you make my life easier. Easy to order online, print the documentation and test. Easy to read and understand the documentation. Easy to take the test and very quickly graded. Makes continuing education very attainable. This is a great way to fulfill CEU requirements and such a variety of subjects that ANY seasoned therapist would be interested in! Terrific way to learn, and I appreciated the affordability. Well done! I enjoy these courses. I like that I can go at my pace and test when it works for my schedule. Great way to do courses. My first time, but not last time. Fast and easy, and great customer service from your staff when my internet was messing me up. Thank you so much. I am so impressed with the professional quality of the text and the testing process. Thank you for making this enjoyable as well as educational. Thank you so much for the courses and materials you offer. Not having to travel long distances to CEU workshops makes this so much more convenient. Testing online is great with instant results in grading. The DVD and reading materials are also awesome and very thorough. Again thank you so much for being there for us! Integrative Healthcare Studies is a great online provider. You learn new information all the time, which is why I rate them the best vote in my book. I am so pleased with the online courses I have taken. I always recommend the Institute for Integrative Healthcare Studies to my fellow co-workers. This is the second course I have ordered from this website and I absolutely loved it. I love having as long as I need to really study and commit all the information to memory. Thank you so much! Thanks for not making it overwhelmingly expensive. Money is tight for all of these CEU's in comparison to income provided by employee's. I love the fact that I can print off the test and have time to find all the answers before I actually take the test. Also, I like how at the end it shows you which ones you missed and what the answer is so you can go back and look it up. This is a great way to learn on your own. I am happy that I found this opportunity. I actually downloaded the course info to my Kindle and read it on the plane. Very awesome education! thank you. Online courses give me time to do them on my own TIME and as long as I want! You're courses never under deliver. Impressed once again! Thank you so very much for allowing me to print the questions. It helped me immeasurably to focus my attention. It also gave me a relaxed and enjoyable read and study through the materials! I very much enjoyed my course! It is much easier when I study online. Love it! The material was of high quality and the website is very easy to navigate. Thank you for this excellent resource. I enjoyed my first online learning experience with you, and I'll be back! I really enjoy your courses. I always use the Institute for all of my CEU’s. I appreciate how easy it is to get my continuing ed. I’ve been using your services for years. I liked taking this at home. I could work at my own pace. Love the Institute for Integrative Healthcare Studies! The best at home CEUs! I love the Institute for Integrative Healthcare Studies! I take all their classes and recommend them always! I am very satisfied with the content and courses that the Institute offers. I am just thrilled to be able to have the option of getting the materials needed shipped/mailed to me; that way I can really go over the material and keep it for reference. Your courses are straight to the point and very helpful. Also, the staff were great to talk to. I am very happy with the Institute. Thank you! Thank you and have an ever so wonderful day! I am truly grateful to all of you, don't you know! The Institute of Integrative Healthcare Studies offers great continuing education courses at a great value!! I am always very pleased with the quality of the course material! I will continue to use this company for future courses. I love your courses. They are quality material, easy to follow, and best of all, you can work on it when you have free time. I love that I can stop at any point and come right back to where I was in the course at a later time. Thank you! I appreciate your knowledge of the massage profession as well as what the different states require and being able to advise the LMT! Thanks! You’ve been a big help in rounding out my requirements! I love the convenience of being able to complete the course at home! Everyone there is extremely helpful and supportive. Excellent service. Thank you for helping me grow professionally. Your correspondence method by mail allowed me to do the course at my own pace. Thank you very much for all of your efforts to help me. Your work is helpful and approach convenient. I found the staff extremely cordial and helpful. Thank you! Keep up the good work. As always, you guys are the best. I use your institute every time. I find your staff friendly and very helpful. Very eager to answer all my questions. I don’t care to things of this nature online so its very helpful that I can sit and read the material . I like that it was affordable. It seems like so many classes are over-priced. The whole experience was convenient and very user friendly. I enjoy the convenience of your Florida Mandatory courses. They are organized and well written. I enjoy the convenience of your home study courses. I appreciate this Institute for my CEU’s. I received a 2015 catalog of all your courses. What a selection! I am looking forward to my next class with you!! Excellent source for those interested in advancing their courses and fine tuning vital skills. It was great to be able to get my CES’s without leaving the house. Having to travel to another city to take an ethics class is a waste of time and money! Would recommend this to anyone. Thank you! I have taken numerous courses through the Institute, The course materials have always been well written and a way to continue to add to both medical and massage education. I still enjoy a “hands on” class from time to time but I find that the Institute offers such varied home study and it fits in a busy life very well. I highly recommend the courses offered by the Institute. I received a call from one of the representatives. She was extremely helpful and patient helping me to choose the courses that I needed. Thank you. Great company, great courses, and great price! This course is my first experience with an Institute for Integrative Healthcare home study course. I found the materials to be clear, complete, comprehensive, and easy to follow. Same with the DVD. I will not hesitate to take another course from the Institute. Thank you! I always use this institute. I will continue. Very interesting and educational. I love your institute. Love your courses. The videos and books in these courses are amazing and will be watched/read over and over again. Thank you! I love this institute! I find it very easy to learn through this type of study and this website is awesome! Thank you! I originally selected a course in Aromatherapy and was contacted by the school to pick a course that Texas would allow and I appreciate them watching out for us what our state would and would not allow. The girls were VERY helpful!! Customer Service reps were excellent! I am so glad that I found this venue for studying and learning to expand my knowlege of bodywork. I love this program!! Thank you! I have already referred Integrative Healthcare Studies with my co-workers! Thanks for providing such great courses and tests! Thanks for the great opportunity to learn and help my clients! It is nice to be able to see the test before taking the test. It enables the student to set a purpose for his/her reading of the material. Emma was very helpful to me and answered all of my questions. She went out of her way to really assist me, and I appreciate her professionalism. I have taken numerous courses from your institute for nearly a decade, and the support staff have always been friendly and very helpful. I have used you for many of my CEUs and will continue to do so...that should about say how satisfied I am and have suggested your programs to other associates. This test was so easy to take online and I am not very computer literate! Thank you for making the process of fulfilling my CEUs both interesting and simple. I love taking your courses and prefer them over any other classes or workshops. I always have the materials to review and study again and again. It is nice to collect the references and DVDs to use in my practice. Thanks!!!! The course was interesting. Jessica helped me navigate the site so that I could complete the material efficiently. Thank you for providing this course and others. Student who helped me enroll was excellent, name: Rhiannon!! The young girl who helped me enroll and answered all my questions could not have been nicer--her name is Rhiannon and she should be commended!! Thank you for providing great online courses! Love this resource for CEs. Career long customer :) Thanks! Thank you for making it convenient to get my ceus! Integrative Healthcare has become my first choice when searching for CEU's. I truly enjoyed this course. Thank you. Just continue providing courses that you have in the past. Great site to get my online course requirements met. Fantastic learning experience! Highly recommended! Thank you! I have taken many of my courses through the Institute and have found them to be informative and well presented. These courses are very handy since there isn't a lot of educationial opportunities in my area. I love your courses! Its very helpful for MTs to gain credits! reasonably priced, good quality of education. Thank you so much for providing good CE courses! This course brought me up to date on what the correct protocols are for massage therapists wishing to work with cancer patients and survivors. This is the second course with Dr. Mally that I have taken. He is an excellent teacher and the format, with DVDs and workbooks, are such a terrific way to learn. I plan to take his Sports Massage course next. The online testing option works really well for me. The courses offered and IIHS support/customer service are exceptional. Thank you! I learned a lot and it has increased by yearning to practice Thai and/or incorporate some of the stretches into my regular massage practice. Your courses offer the content I need in a clear and concise way. I also appreciate the excellent customer service! Thanks! Your courses are always informative and a great help to my practice. You make it easy and affordable to do the CE for those who are busy. You all do a wonderful job and I appreciate all that you do and offer. You are a big asset to my job and future education. Thank you. While living out of the state of Texas, this course was the most practical way about getting the CEUs needed to keep my license current. IIHS was very helpful each time I called. They even informed me of a class that I ordered wasn't acceptable for CEUs and had me change to the correct one. I will recommend your courses to my friends in the future. Thank you for being so helpful in this process. Well done and to the point. The staff on the phones are professional, helpful and very knowledgeable. I will tell others about your services and hope to use you again. This was my first online C.E. course. I was pleasantly surprised at how enjoyable it was to complete this requirement at home and at my own pace. I will definitely do another course this way! This was great. I give a lot of credit to this company for making material easily accessible and affordable to practicing massage therapists. This is the first time I have used the Institute and I am so impressed with the service. I have confidence in its professionalism. This is the 4th course I've taken with you and will continue in the future. The overall quality and customer service is excellent. This is my first online course I have ever taken, and I am completely satisfied with the information I learned, and look forward to meeting my CEU requirements with more online courses. Thank you so much! These courses are well organized and wonderful adjunct learning. The staff are excellent in assisting with questions and answering calls. Thank you so very much for your personal concern with my deadline. Thank you! Your courses are always helpful and interesting, not to mention convenient. Thank you for offering affordable home study courses that are interesting, informative and most helpful to me in providing quality services to my clients. Thank you for making renewing certification affordable and convenient. Thank you for making my continuing education requirements easy to fulfill! I will definitely be back for more courses! Thank you for a stimulating and rewarding experience! Not only was the staff helpful but the course was very informative and so easy to complete online. I will definitely use your service to renew my license in the future. Thank you for providing a great home study. I really like that you can print it out and complete it and then come back to the computer and take the quiz. It was very helpful to not have to sit in front of the computer, read the material and finish the quiz all in one sitting. I love how organized, professional and educating your courses are. In my opinion, sub-standard providers should not be allowed to offer CEUs. There are some out there who could learn a thing or two from you! I love doing these online courses with your company. It's one of the best I have found and simple to understand the context. I learn a lot and feel no pressure with your courses. I will continue to do my CEUs with your company, thanks for making my experience so wonderful. I know I can count on thorough informative courses through your facility. I've come to prefer this type of study program to the conventional classroom. Thanks for your prompt delivery! I have used this site to complete many continuing education courses. I am continually pleased with the continuing education and will definitely return for future educational needs. I continue to benefit from your excellent quality CE courses at affordable prices. Keep up the good work! I appreciate the effectiveness of the study given by this Institute! The quality of material by far out weighs some on site seminars I have taken! I am very impressed with the professional way in which this whole online course was presented. I felt comfortable knowing that I could call someone at any time if I had a problem. The material was very informative and interesting. Thank you. I am truly hooked on these courses! I plan to take as many of them as possible! As usual your courses are excellent! I just keep wanting to learn more and more. Really makes a difference in my profession, and care giving to clients. Thanks again. Again this form of continuing education works so well with my busy professional schedule. I'm so glad I can read the material and take the exams without having costly and lengthy travel! ... the best massage material for independent study that I've used.